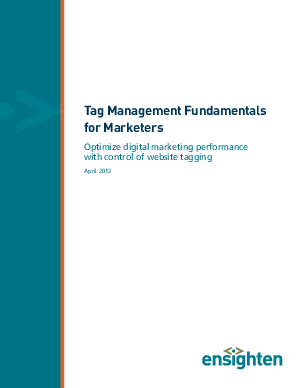 Tag Management Systems (TMS) solve these critical issues. TMS accelerates web page load and empowers marketers to control all third-party services - deploy, test, optimize, remove tags at any time - through a single web interface. Marketers are more agile and able to respond quickly and intelligently to business needs, as well as make smarter marketing investments, in terms of ad spend and digital marketing services.